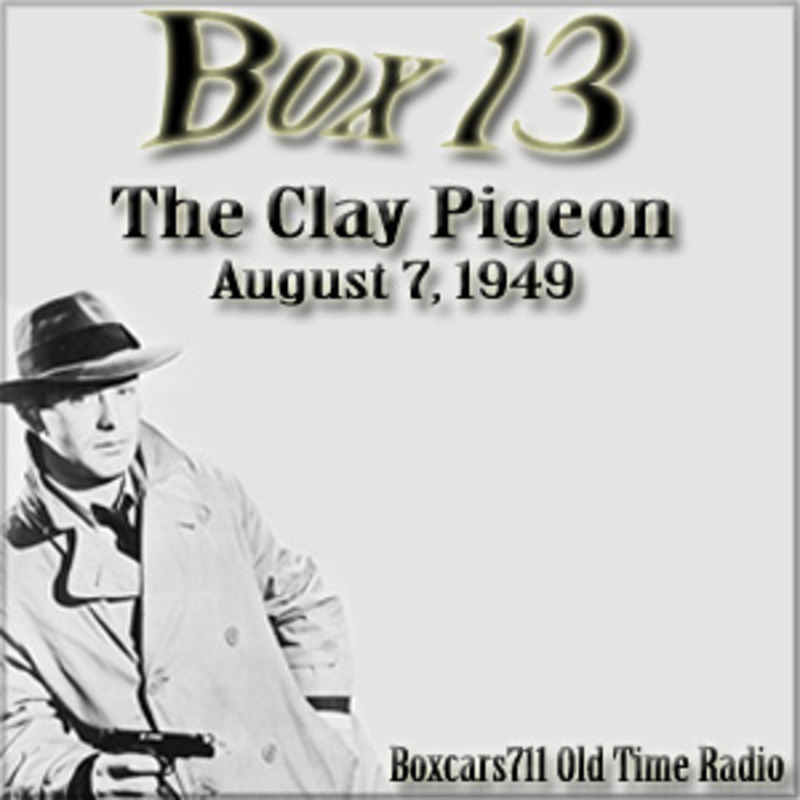 Box 13 was a syndicated radio series about the escapades of newspaperman-turned-mystery novelist Dan Holliday, played by film star Alan Ladd. Created by Ladd's company, Mayfair Productions, Box 13 premiered in 1947. In New York City, it first aired December 31, 1947, on Mutual's New York flagship, WOR. To seek out new ideas for his fiction, Holliday ran a classified ad in the Star-Times newspaper where he formerly worked: "Adventure wanted, will go anywhere, do anything -- write Box 13, Star-Times." The stories followed Holliday's adventures when he responded to the letters sent to him by such people as a psycho killer and various victims. Sylvia Picker appeared as Holliday's scatterbrained secretary, Suzy, while Edmund MacDonald played police Lt. Kling. THIS EPISODE: August 7, 1949. Program #51. Mutual network origination, Mayfair syndication. "The Clay Pigeon". Commercials added locally. A mysterious man has Dan Holiday mention a name to an occult doctor, which nearly scares him to death. Alan Ladd, Richard Sanville (director), Rudy Schrager (composer, conductor), Russell Hughes (writer), Sylvia Picker, Vern Carstensen (production supervisor). 26:58. Episode Notes From The Radio Gold Index. 3704 episodes available. A new episode about every 5 hours averaging 28 mins duration .